Large-scale? Special orders? No problem. Booking catering quickly and easily is an important way to drive revenue for your business. BentoBox takes the work out of the booking and menu selection process by giving you the tools to manage and promote the catering side of your business. BentoBox provides lead forms that are proven to convert high-margin catering requests. 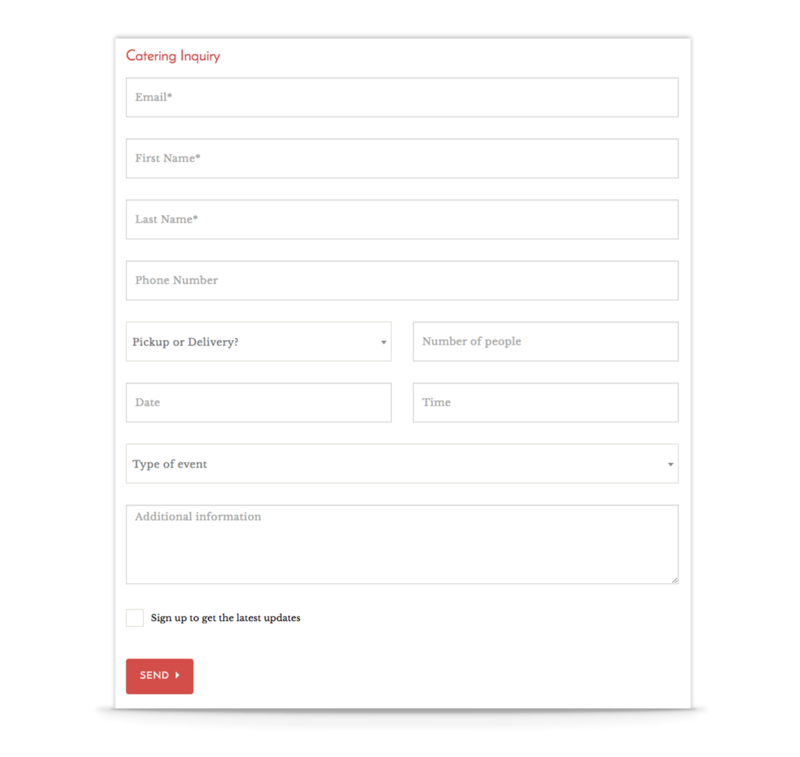 The forms are easy to fill out and allow customers to choose their menu items, and their date and time. 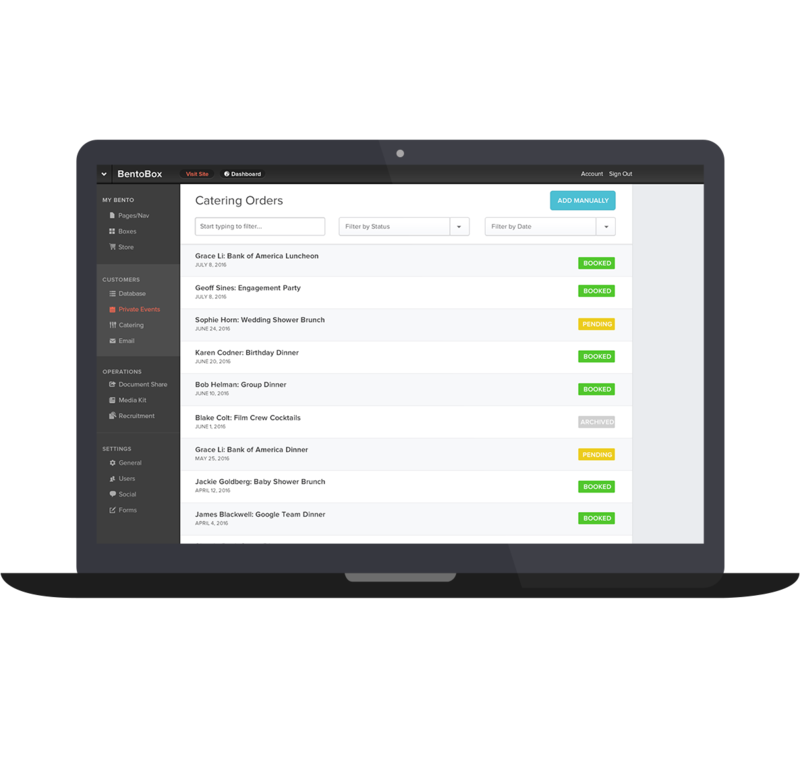 Streamline the process of larger orders by seeing the status and information for each request in BentoBox's dashboard. You'll be able to keep orders organized without messy paperwork, and track your most valuable individual customers and corporations. Forget about faxing credit card information back and forth or dealing with unwieldy PDFs. You'll be able to take deposits for catering orders securely on your BentoBox website. Get paid faster. Keep your guests' info safe. BentoBox lead forms are proven to collect the information you need upfront to reduce back and forth time.